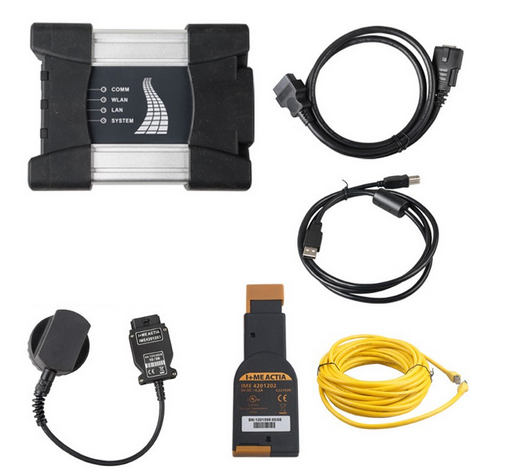 BMW ICOM NEXT diagnostic & programming tool support BMW series cars till 2018. ICOM NEXT A+B+C works for BMW, MINI, Rolls-Royce BMW-Model and support programming offline directly. (BMW, MINI, Rolls-Royce BMW-Model, BMW Motorcycle and electric car )We would like to share how to update the firmware and the firmware download link here. 4. Windows System Requirements: Win7 System, 32bit, I5CPU 4G RAM or above. We would like to share how to update firmware V1.40 and download link here. 10 Steps to Tell You How to Update BMW ICOM NEXT A+B+C Firmware? 1.Firstly, please use the Internet cable to connect ICOM NEXT with the laptop. Then charge ICOM NEXT via 12V power adapter or connect ICOM NEXT to BMW vehicles for power. 3.Now you can select “Update Firmware” and check the ICOM firmware version information. 4.Then please select “Browse” to select file “ICOM-BootImage-01–25–02.bin”, set image type as “SYSTEM”, and click “Send the file”. 5.Here you can click “Yes” when you get prompt “Write the image file to the flash?”, then ICOM indicator light will turn red. 6.When it shows “The SYSTEM IMAGE update was successful”, then click “Update Firmware”. 7.Choose “ICOM-ApplicationImage-01–40–05.bin”, set image type “APPLICATION”, click “Send the file”, this will take several minutes please be patient. 8.After all, click “Yes” when you get prompt “Write the image file to the flash?”, then the ICOM indicator light will turn red again. 10.Click “Home” — “Update Firmware”, you will see ICOM Next firmware display the newest version. Note: Please make sure your computer will obtain IP address automatically.